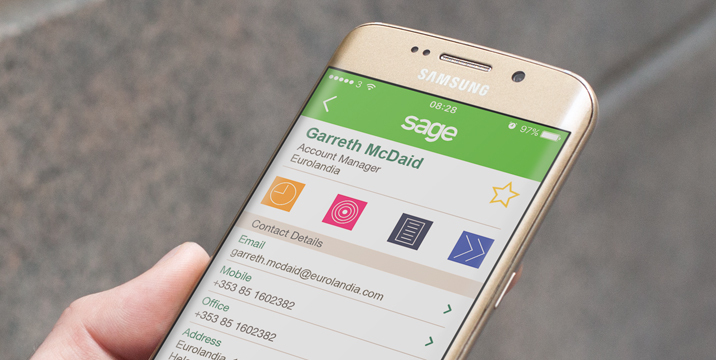 We are delighted to announce the release of an updated enhancements to the Sage the CRM mobile App for iPhone and Android. What could be more important to a travelling sales team than being able to access important customer information on their mobile? Sage CRM for iPhone and Android ensures you and your team have access to critical customer information at anytime from anywhere. Sage CRM mobile apps are available to download from the App Store and Google Play. For more information of key enhancement and functionality, please see the Sage CRM 2016 Android datasheet and the Sage CRM iPhone datasheet.